02 nights accommodation in Lucerne. 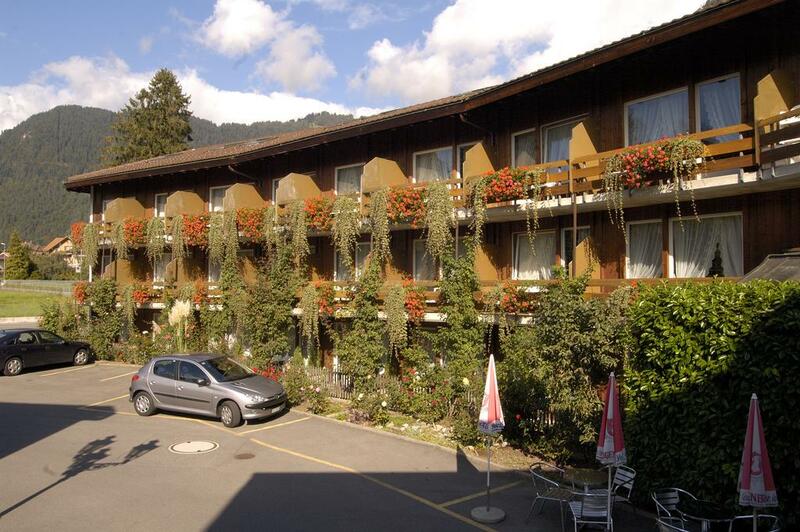 02 nights accommodation in Interlaken. 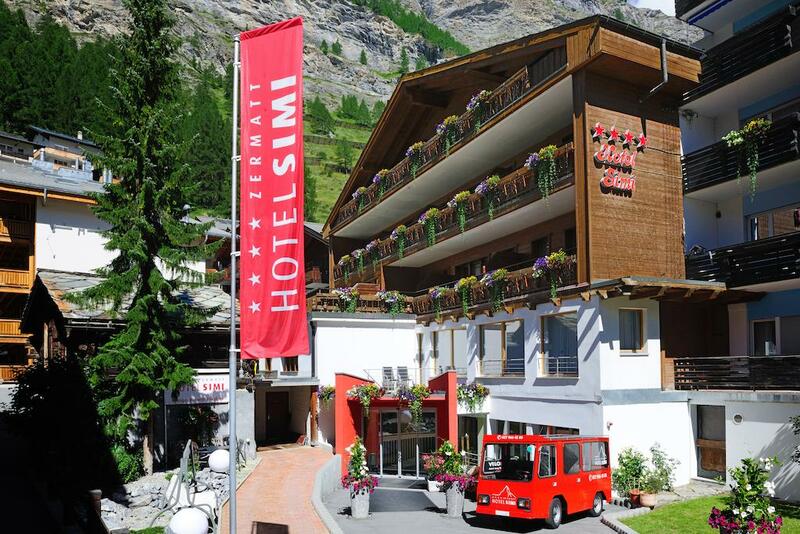 02 nights accommodation in Zermatt. 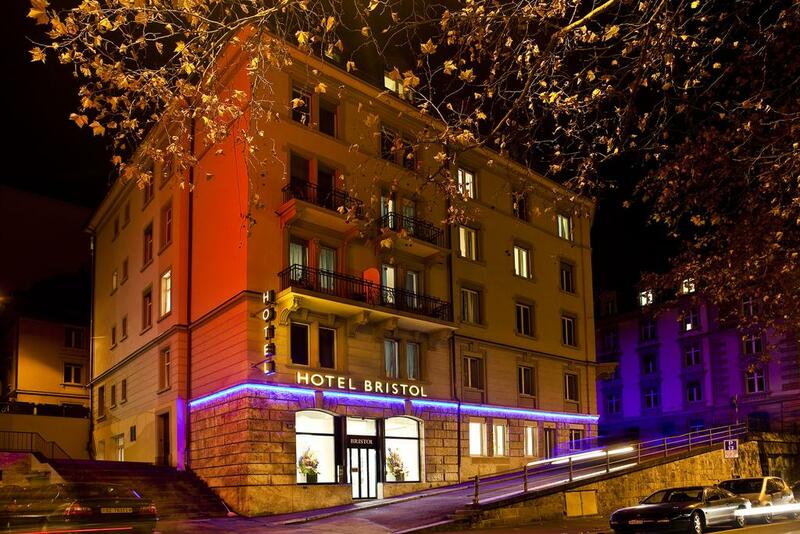 01 nights accommodation in Zurich. 8 Days Swiss Pass 2nd Class. Refresh your senses and take in the first class comfort of our cutting-edge ship MS Saphir. The stylish design and dashing appearance of our elegant Panorama-Yacht will be sure to impress! With such unique features like the convertible roof on the upper deck, the aqua terrace on the main deck aft or the custom-built furniture, the ship provides excitement and luxury for all. Cruising aboard MS Saphir is an experience that just might remind you of the super yachts on the Cote d'Azur! Bring your friends to nip on a few happy hour drinks or take advantage of the informative audio guide, which is available in 11 different languages and will narrate the top attractions in the Bay of Lucerne. Board our comfortable minibus for this exclusive small group tour on scenic routes and through stunning landscapes to Berne, the Swiss capital. Discover the rural highlights of Entlebuch valley. Crossing the border to the idyllic Emmental valley you reach Trubschachen. 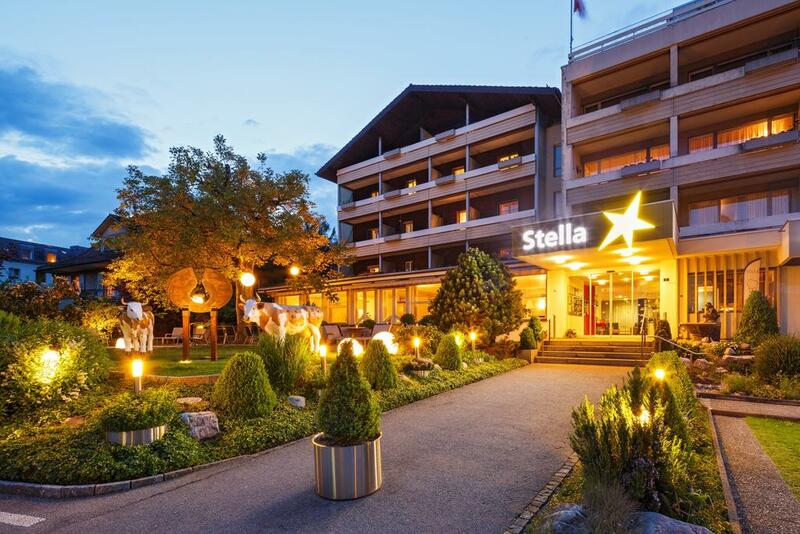 At the Kambly Experience you experience the origins of Switzerland's best-known premium biscuit brand. Indulge in unique flavors and try as many biscuits variety you like! After this sweet rest continue towards Berne. Time for a walk through the charming Old Town, designated UNESCO world cultural heritage. Marvel at the late Gothic Cathedral (Munster), stroll under the characteristic arcades to the clock tower (Zytglogge) and pay a visit to the Parliament. Time at leisure for lunch (not included). In the afternoon we continue our way through fascinating rural landscape. The impressively vast roofs shelter prosperous Emmental farmhouses and the red of the geraniums is probably more intense than anywhere else in the world! See grazing cows on green hills producing best milk, the principal ingredient for the world famous Emmental Cheese. And this means our next stop, the show dairy. Right on time for the highlight of the day, when the fresh cheese is taken out of the pot by hand. Watch through the big windows directly in the production hall and learn about the traditional production of an Emmentaler AOP. Before leaving this charming place you will be invited to a cheese tasting. Drive back to Lucerne. 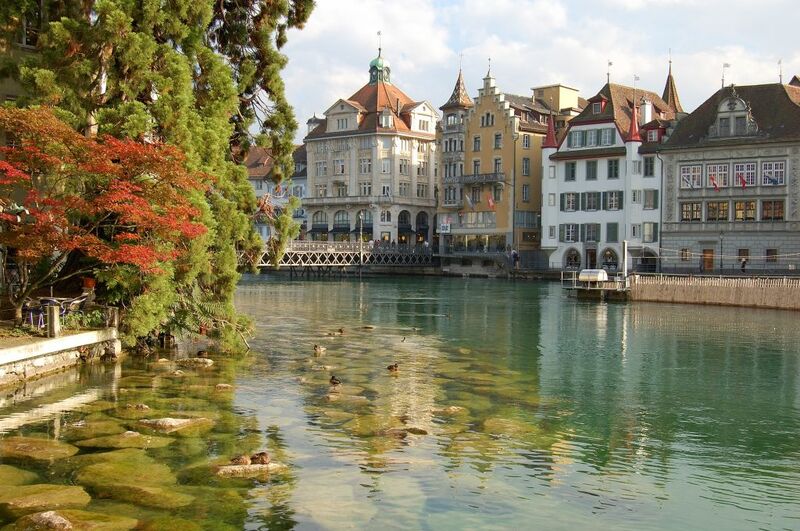 Join us for a walk around Lucerne! Already in the Middle Ages, Lucerne was a city of bridges. In 1400, Lucerne was the only city in Europe to boast four bridges. The Hof Bridge, constructed around 1250 (demolished 1834), and the Chapel Bridge, built around 1300, formed part of the city fortifications. The Spreuer Bridge served to connect the lower parts of the city. Nowadays the less attractive Reuss Bridge is the oldest river crossing and contributed considerably to the city's development. It was not until the 19th and 20th centuries that five more bridges were added. However, Lucerne is also a city of palaces, churches and squares. 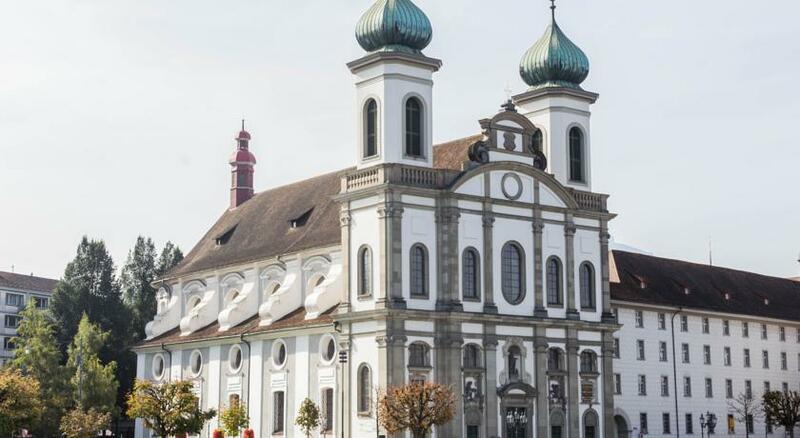 You will learn some funny, interesting and true facts about Lucerne's history, churches, bridges, lanes, squares, towers and of course about Lucerne's trademark, the Chapel Bridge with the Water Tower. This excursion starts with a comfortable ride in a modern deluxe coach through scenic routes to a most enchanting alpine world of the Bernese Oberland. After a short interlude in Interlaken you reach Lauterbrunnen where we board the Wengernalp rack railway for a 45-minute trip up through idyllic alpine meadows and forests to the little village of Wengen, and then further on up to Kleine Scheidegg (2061 m/6762 ft). 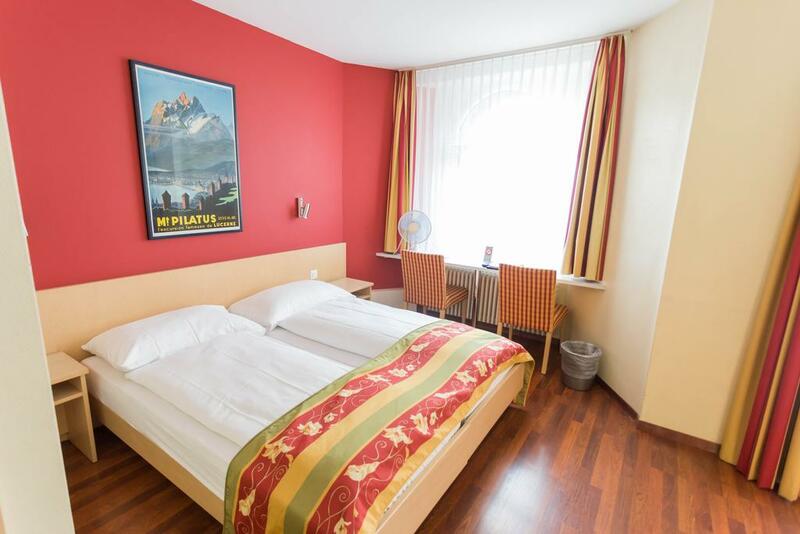 Here you will find yourself in front of the most magnificent mountain backdrop of Eiger, Monch and Jungfrau. The imposing Eiger North Face is within touching distance. Time for lunch, relax or do some hiking on the well-signed hiking trails for all levels of competence. The trip back down to the valley follows the north-west slopes of the Eiger to the famous resort of Grindelwald. Return to Lucerne: arrival at approx. 7 pm. After a short bus journey to Kriens, you will take a ride with the panoramic gondolas and aerial cableway to Mount Pilatus (7000 ft / 2132 m). From here you will enjoy an unforgettable view over the surrounding mountains and lakes. 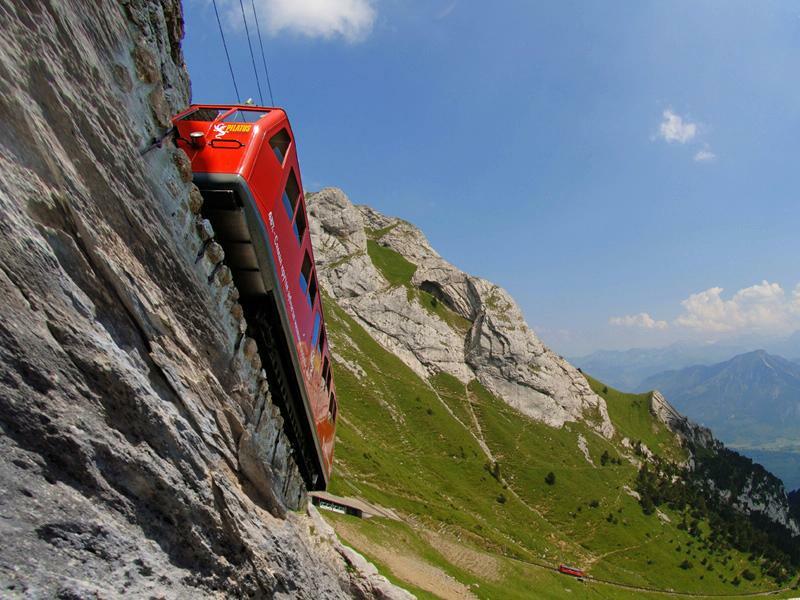 Descend on the world's steepest cogwheel railway (48% gradient) to Alpnachstad (between May and October only). 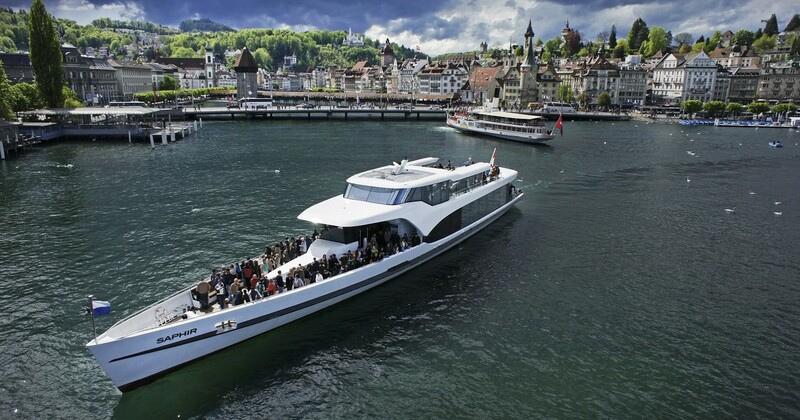 After which, take a boat ride on Lake Lucerne (between May and October only). You will have the service of a local, multilingual guide for the duration of the tour.The mountain railway operation is subject to the snow conditions on the mountain, therefore an exact time cannot be given. Late October till November Lunch instead of Boat Ride. Visit to Mt. Pilatus from Interlaken. . Later Visit to Mt. Pilatus from Interlaken. Join this partly guided coach tour from Interlaken to Mount Pilatus for a half-day winter wonderland adventure on one of Switzerland's most majestic mountains! 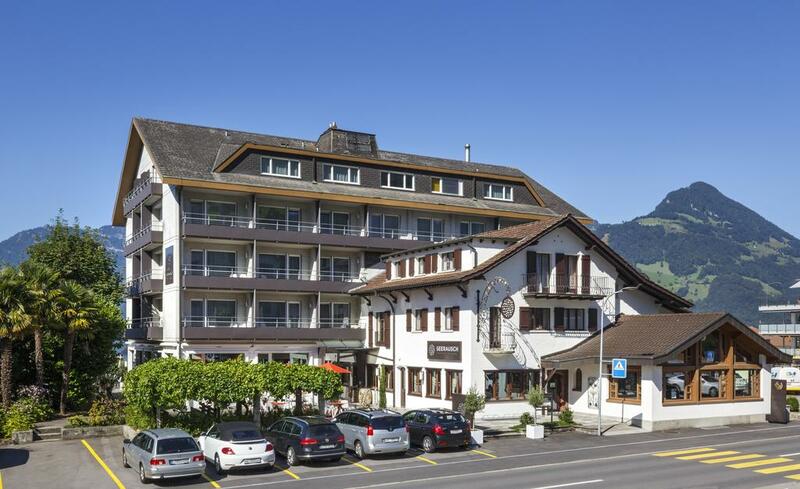 Explore the peak at leisure, before enjoying a typical Swiss lunch. 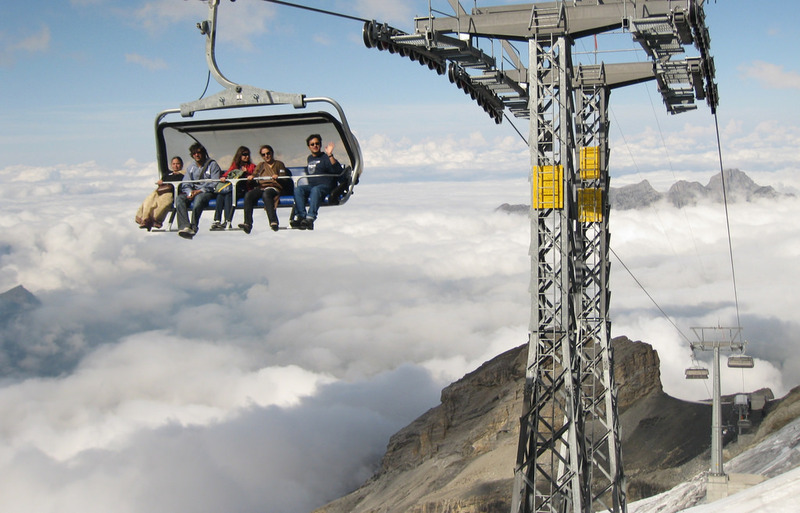 From Kriens, you'll take the panoramic gondola and aerial cable car to the top of Mt. Pilatus at 7'000 feet (2'132 meters). Enjoy approximately two and a half hours at your leisure discovering this white winter paradise along the Dragon Path. According to legend, kind dragons once inhibited this mountain! 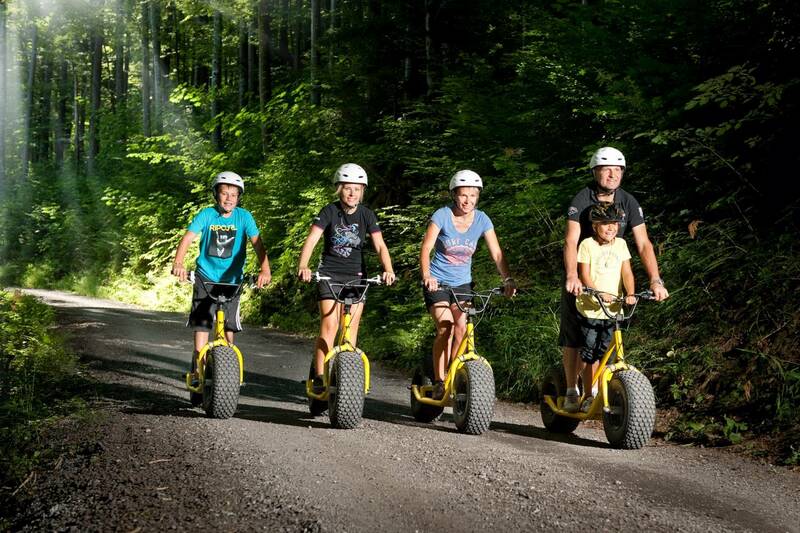 Monster Scooters are a fun way to explore the Swiss mountain scenery with the whole family. With wide tyres and handlebar brakes, these scooters are extremely stable and easy to use and don't require any biking experience. This guided evening tour begins in the small mountain village of Isenflu where we take a mountain cable car high into the alpine meadows before descending through the forest on the 45 minute scooter ride. 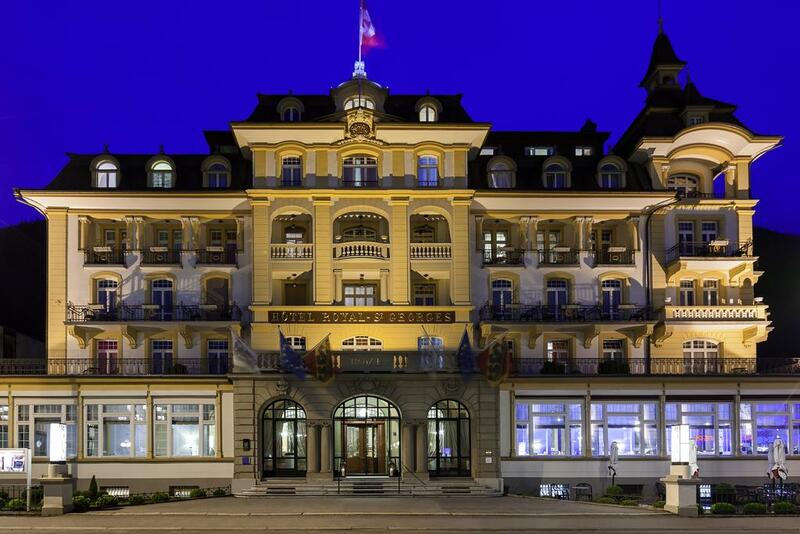 The soft evening light brings new dimensions to the perfect views of the Jungfrau panorama. 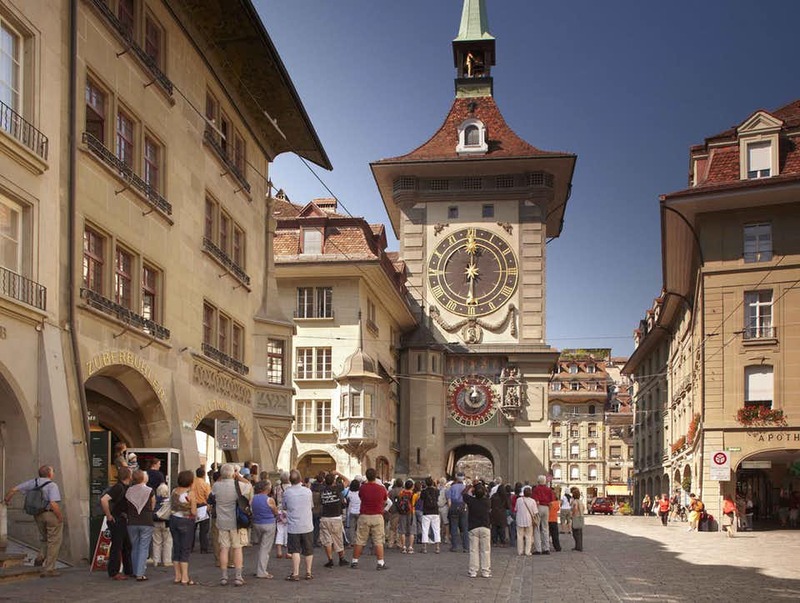 This tour will show you traditional aspects of Swiss culture in local, authentic settings. Using Switzerland's world famous public transport system, we visit a local farm, see cows and taste some milk and cheese fresh from production. You will be able to see over the shoulder of a traditional woodcarver and learn about this old Swiss handicraft. 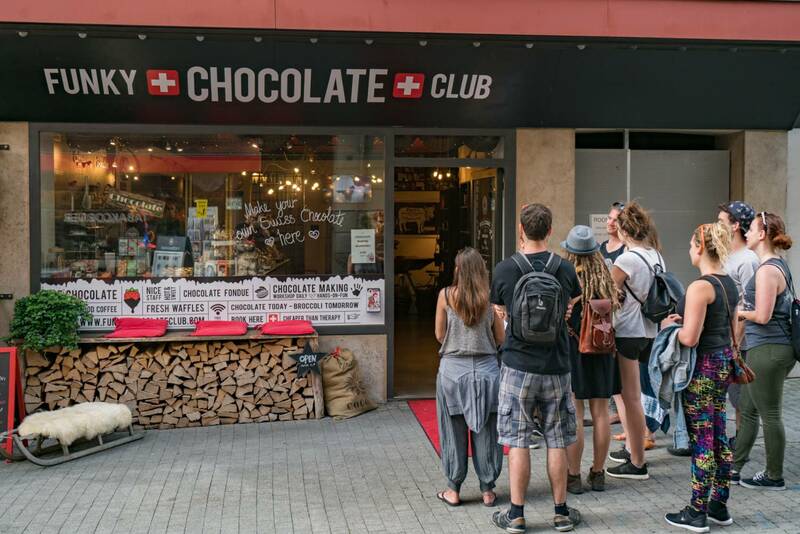 Next stop is the Funky Chocolate Club, where you'll sample the best chocolate in the world and find out about its history and production. To top this off, we'll go to a local cheese store where we learn about and taste the famous varieties of Swiss cheese. This Rafting Tour Involves small to mid size rapids class II-III which are very good as an introduction into this watersport. Swimming ability is recommended but not essential. the Tour is Great for groups and families of all ages. Customers will need to paddle in some sections. The Transport from Interlaken takes approx. 30 min each way. There are a maximum of 8 clients in each boat and 1 guide. From Interlaken, the heart of the Jungfrau region mountain world and uniquely situated between two lakes, we make our way to famous mountain resort Grindelwald where we board the cogwheel train for a spectacular ride via Kleine Scheidegg to Jungfraujoch. 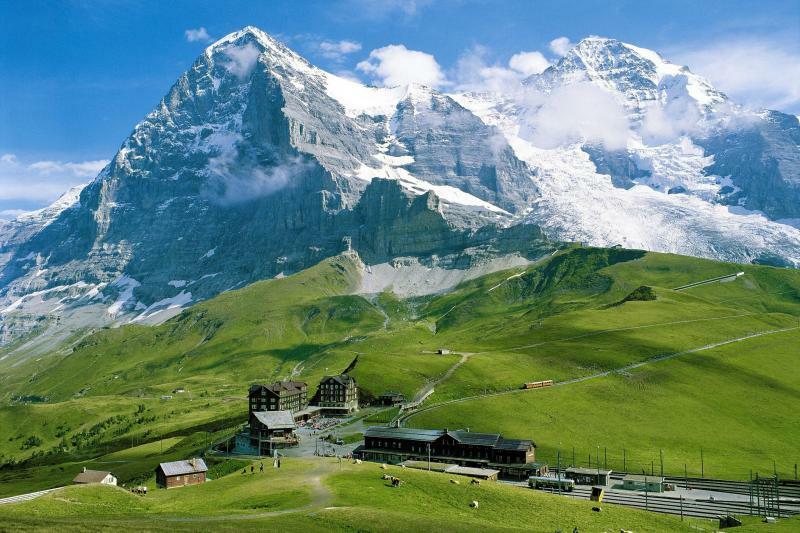 Stunning views of the world-famous triple peaks of Eiger, Monch and Jungfrau accompany you all the way to the top. Once on the top, immerse yourself in the fascinating high-Alpine wonderland of ice, snow and rock. Experience the adventure tour Alpine Sensation marking the 100-year anniversary of the Jungfrau Railway and visit the Sphinx Observation Terrace and Plateau with the most breathtaking panoramic views of snow-capped peaks, neighboring countries and Europe's longest glacier, the Aletsch Glacier. Don't forget to stroll through the tunnels of the Ice Palace located in the heart of the glacier , a once in a lifetime experience you don't want to miss! 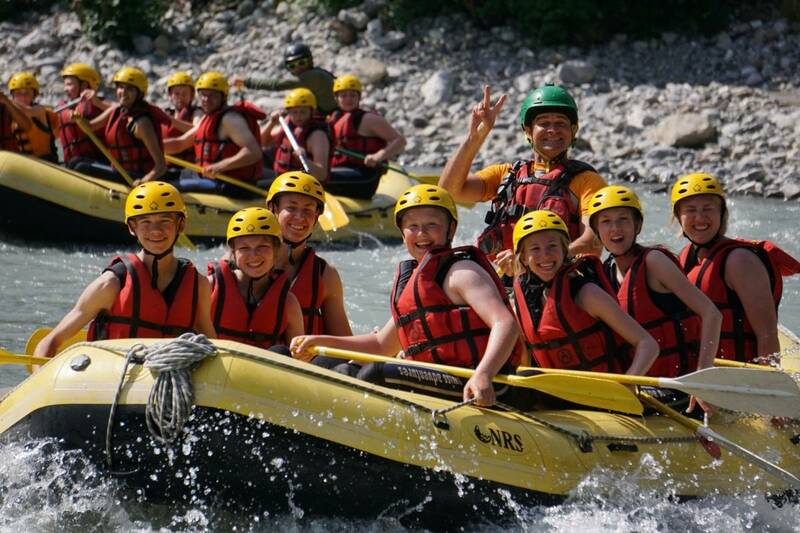 Only a 10 minute drive from Outdoor Interlaken Base you are able to do a 3.5 hour canyoning tour. This tour is perfect for those with a short time window. You will spend around 1-1.5 hours in the canyon. 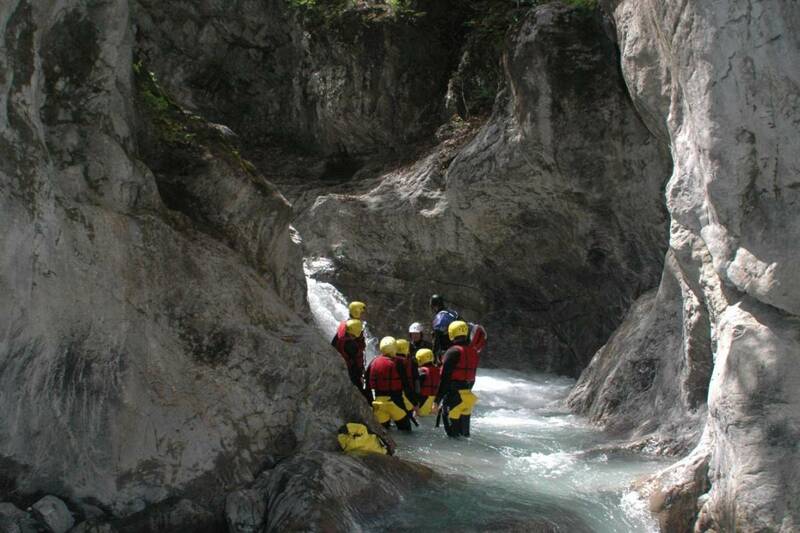 Since this is one of our easier tours it is suitable for anyone who wants a taste of canyoning. The highest jump is 5 meters with the option to skip if you do not feel comfortable with it. There is an alternative for almost every element such as climbing around or taking an easier jump option. Some basic swimming skills are an advantage but not required. 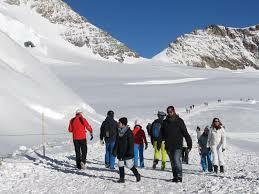 The tour is accompanied by 2 experienced guides and runs with a maximum of 13 participants per group. Your coach will start from Zurich city centre and will head towards the fantastic nature spectacle Rhine Falls, Europe's largest waterfall. It is only 23 metres high but has an impressive width of 150 metres and an average of 25'000 cubic feet of water per second (700m3/sec). You will be dropped off on the north bank of the river Rhine where you can admire the turreted castle called Schloss Laufen on a cliff directly above the falls. 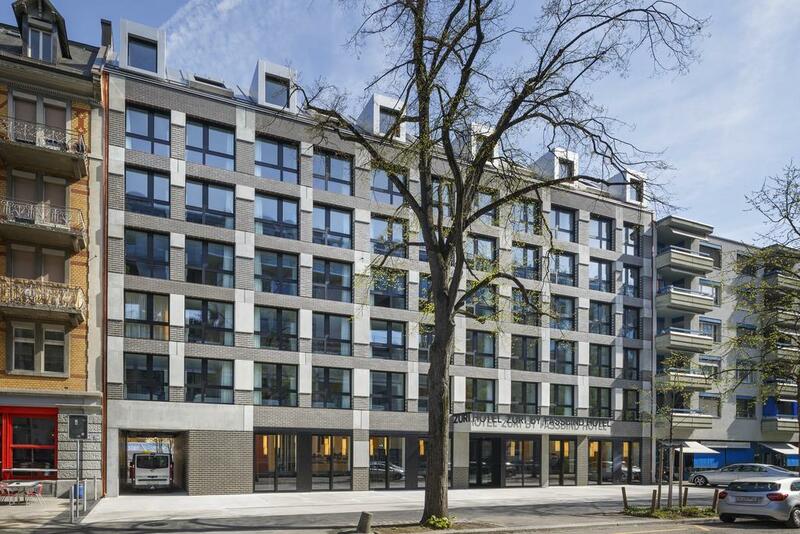 The tour also takes you to Northern Switzerland close to the German border where you will drive through Schaffhausen, the capital of the canton with its famous Munot Fortress, dating from the 16th century. Return to Zurich with an alternative stop at the Airport, where departing guests can end their tour if they wish. The way back will be via German territory - passport is required. All infants must be registered. Unregistered minors and their accompanying adult(s) can be excluded from the service with no refund. A scenic coach journey through splendid countryside takes you to the Bernese Oberland. After a break in Interlaken, uniquely situated between two lakes, we board the cogwheel train in Grindelwald for a spectacular ride via Kleine Scheidegg to Jungfraujoch. 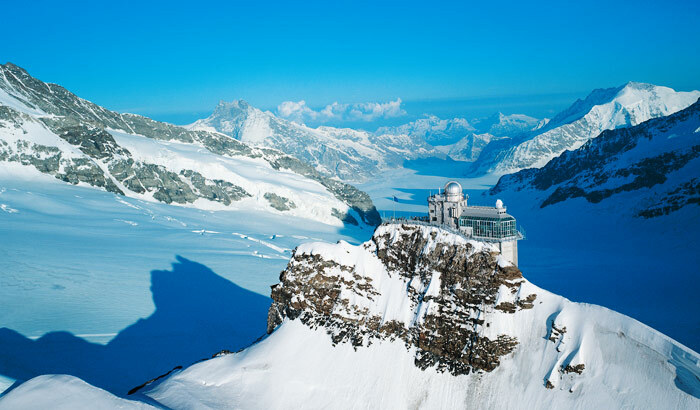 Stunning views of the world-famous triple peaks of Eiger, Monch and Jungfrau accompany you all the way to the top. Once on the top, immerse yourself in the fascinating high-Alpine wonderland of ice, snow and rock. Experience the adventure tour Alpine Sensation marking the 100-year anniversary of the Jungfrau Railway and visit the Sphinx Observation Terrace and Plateau with the most breathtaking panoramic views of snow-capped peaks, neighboring countries and Europe's longest glacier, the Aletsch Glacier. Don't forget to stroll through the tunnels of the Ice Palace located in the heart of the glacier , a once in a lifetime experience you don't want to miss! All infants must be registered. Unregistered minors and their accompanying adult(s) can be excluded from the service with no refund. Get into the electric TukTuk and enjoy a 60 minutes ride. 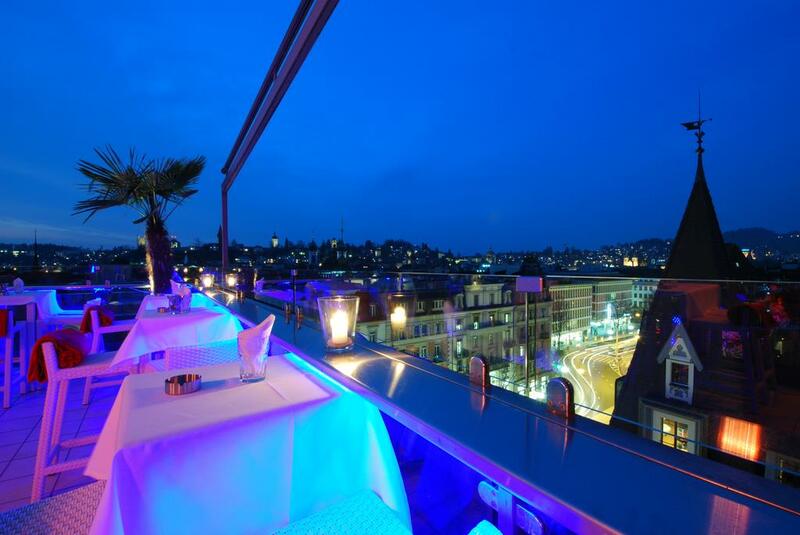 Our Tour Zurich the Metropole is the perfect ride to discover the beauty of Zurich. 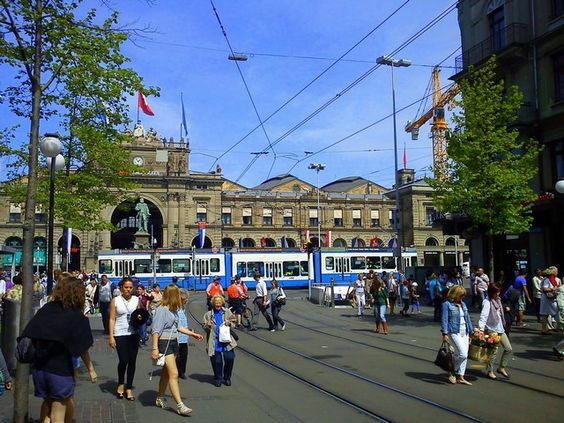 The local driver and guide is eager to share his knowledge while you are comfortably chauffeured through the streets of Zurich. From the historical old town through the shopping area to the famous Longstreet: we show you the best spots. After breakfast, enjoy morning at leisure OR take a trip to Mt. Titlis where you reach after boarding the aerial cableway for a 45 minute journey from the green valley bottom to the high alpine glacier region at 3020m/10000 ft which guarantees snow the whole year round. Enjoy a magnificent ride in the world’s first ever revolving `ROTAIR` gondola, which offers a 360° panoramic view into the Alps. Visit the Ice Grotto and experience the new `Ice Flyer`, a chair lift which rides over the glacier with fantastic views into crevasses and ice falls. 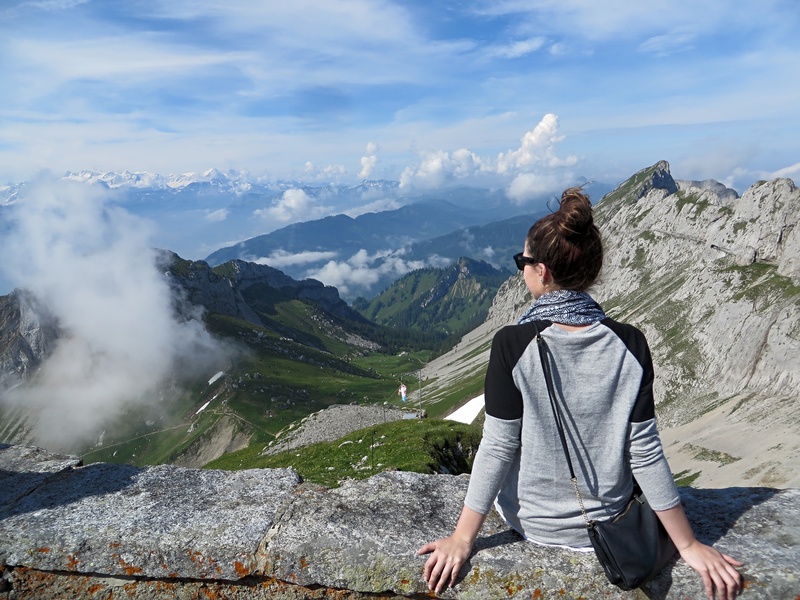 Newly opened, an exciting Titlis Cliff Walk awaits you…. The spectacular suspension bridge high up on the summit. 3041 metres above sea-level! 500 metres off the ground! 150 heart pounding steps! To cross the bridge, you'll need nerves as strong as the steel cables from which it hangs. The TITLIS Cliff Walk holds the record for being the highest suspension bridge in Europe. Don’t forget to enjoy a snow slide on the `Fun lift`. 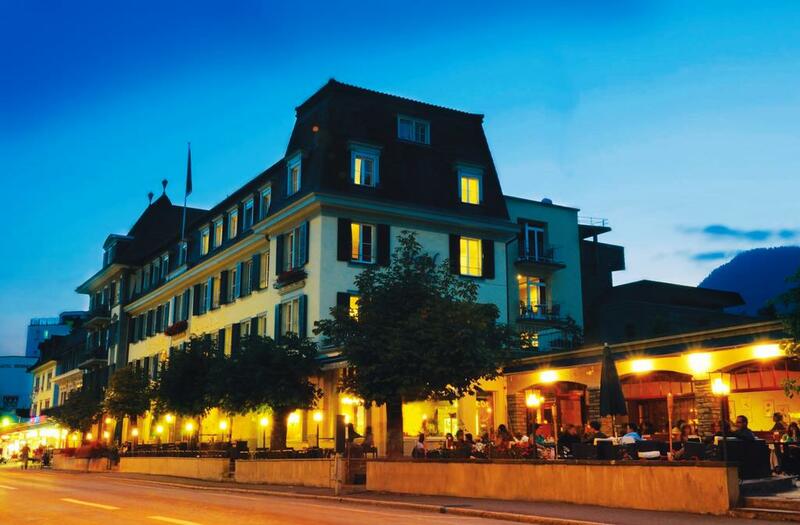 In evening, enjoy an orientation tour of Lucerne visiting the Chapel Bridge, Lion monument & old city squares. 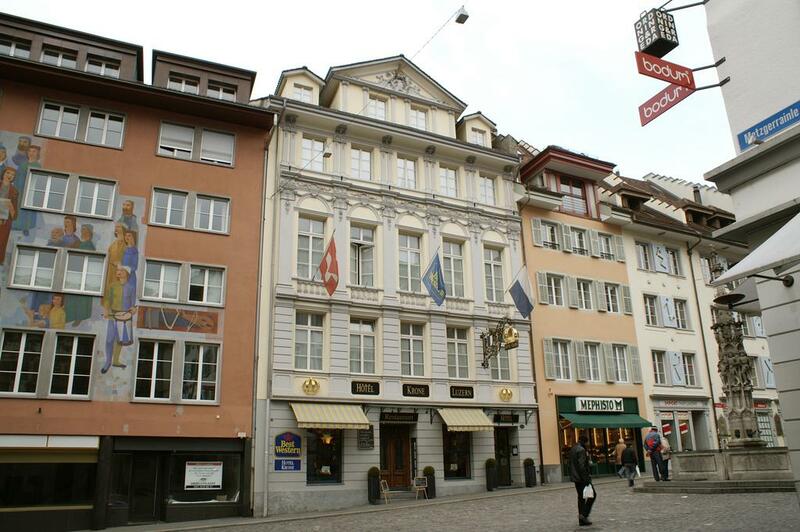 Visit the biggest jeweler in town is Bucherer, famous for its watches and luxury goods. You cannot miss Casa Grande & Sturzenegger for handicrafts & embroideries. Overnight stay in the hotel. Today after breakfast, day is at leisure to enjoy the scenic beauty of this wonderful country. 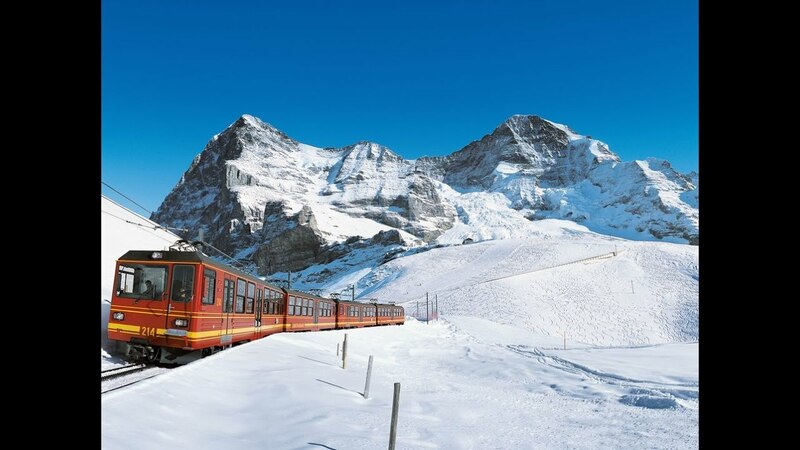 You can also opt for a full day excursion to Jungfraujoch, known as 'Top of Europe' which is at 3`454 m /11`333 ft. Board the cogwheel train for the most interesting mountain train trip, via Kleine Scheidegg, at the foot of the famous Eiger North Face to Jungfraujoch - Europe’s highest railway station. Delicious Indian lunch will be provided at the peak. Enjoy the incredible world of eternal snow and ice. Visit the Ice Palace, experience the breathtaking panoramic views from the Sphinx Observation Terrace overlooking the Aletsch Glacier (Europe’s longest glacier) and the snow-capped peaks of the neighboring countries. Later proceed for an orientation tour of Interlaken. The land between the lakes Thun and Brienz, Interlaken is one of Switzerland’s oldest and most famous resorts. 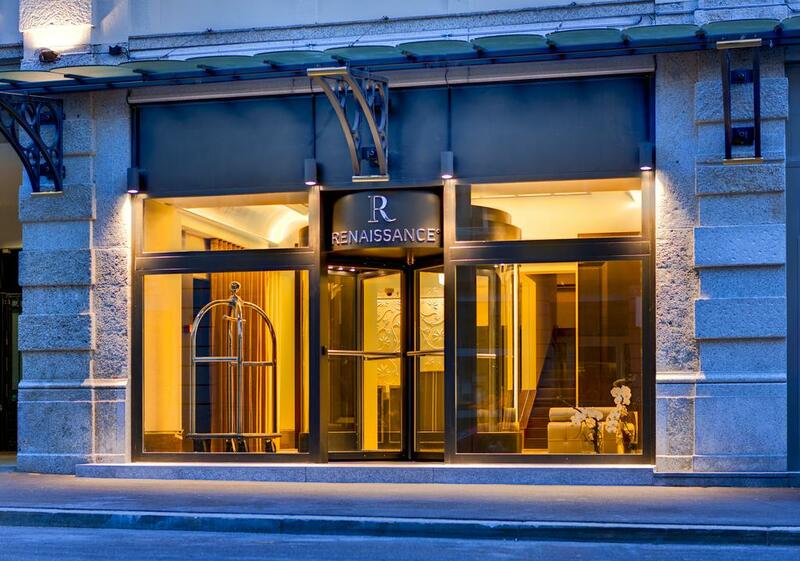 Finally, enjoy an overnight stay at the comfort of your hotel. Overnight stay in the hotel. 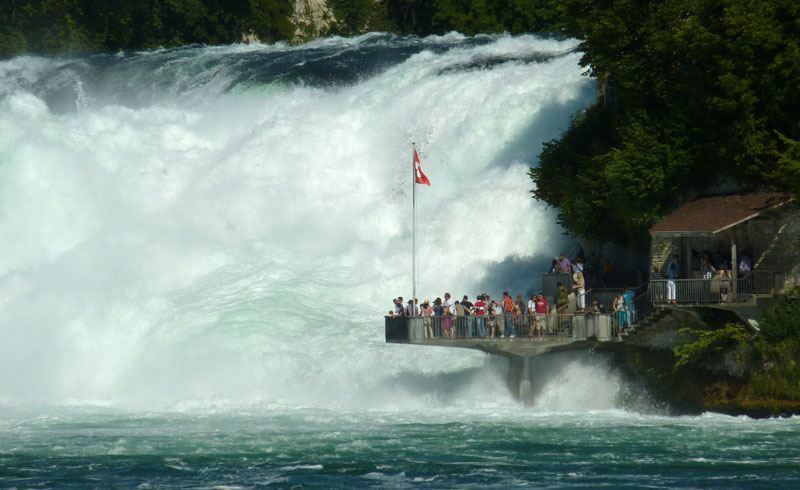 After breakfast, drive to Schaffhausen to view the magnificent Rhine Falls, largest in Europe. 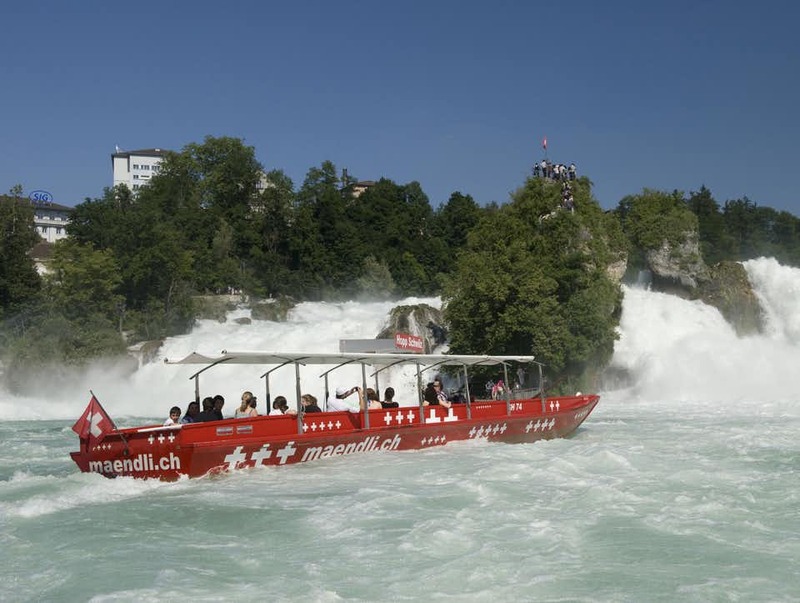 Enjoy a boat ride to get up close and personal to Rhine Falls. Later continue your journey to Germany through the famous Black Forest region. Stop at Drubba in the heart of the forest. Here you have an opportunity to buy Cuckoo clocks & other souvenirs. You also have an opportunity to eat the famous Black Forest Cake. Thereafter, proceed to Heidelberg. Later visit the Heidelberg Castle. Overnight stay in the hotel. Have you never been on skis but always wanted to give it a try? 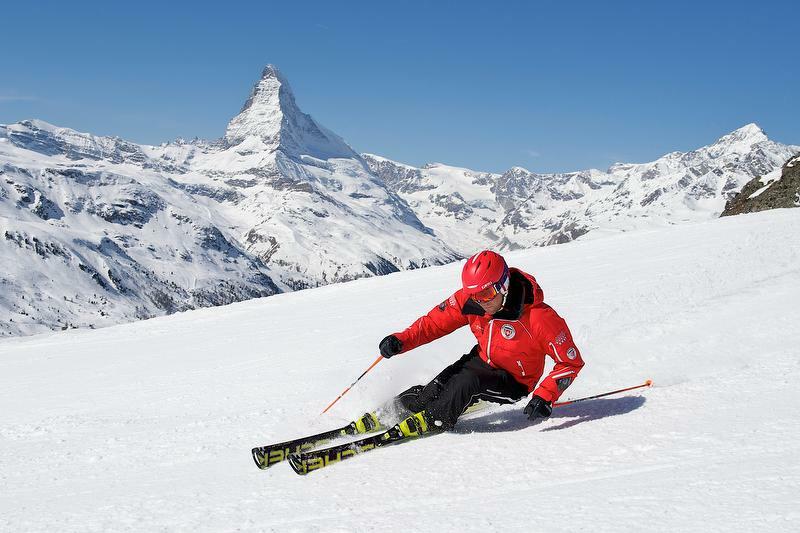 Take your first turns with the help of a professional ski teacher in the middle of a breathtaking mountain world with a view of the Matterhorn. Enjoy discovering the mountains. Make your first run on skis with an instructor. The competent Zermatt guides guarantee the most beautiful mountain experiences possible. Airport to hotel transfer on your own through Swiss Pass. Rest of the day at leisure. Overnight in Lucerne. Breakfast at the hotel. Later Visit Mt. Titlis. 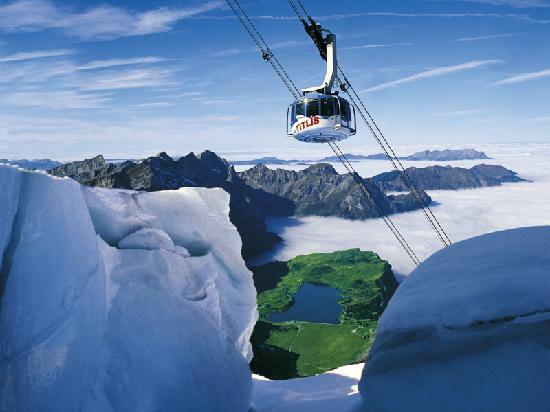 Immerse yourself in the glacial landscapes and eternal snow of Mt.Titlis in the Swiss Alps ,your breathtaking journey skywards begins when you board the revolving cable car. You’ll marvel at the views of Alpine glaciers, ice boulders and their deep crevasses. 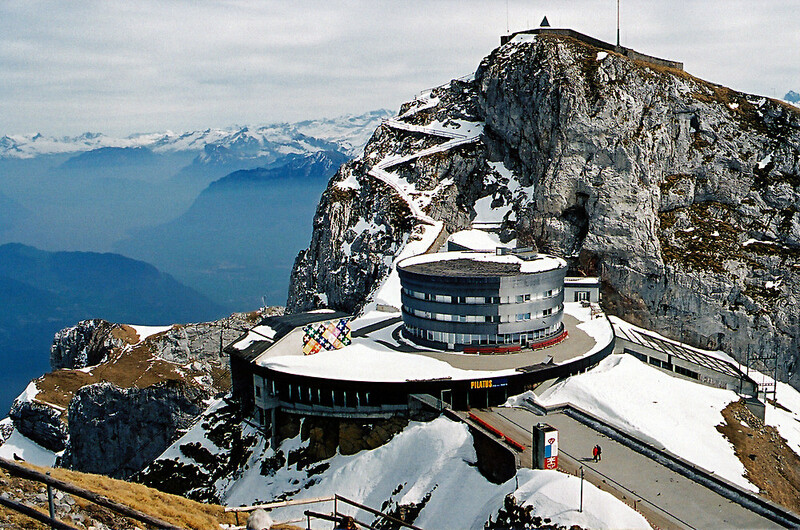 Find yourself on top of the world at the top of Mt.Titlis, at 10,000 feet (3,020 meters). 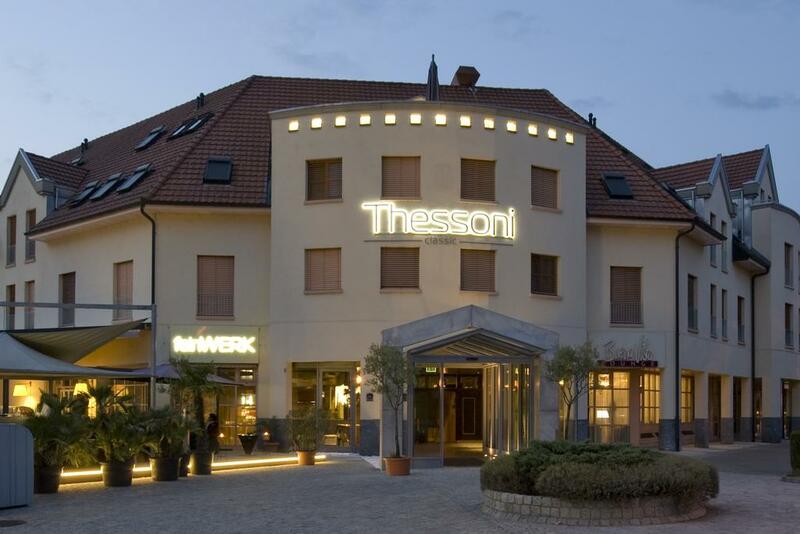 With approximately 90 minutes here, you can choose to dine at a choice of several restaurants (own expense), relax on the sun terrace or visit the Ice Grotto. Take the IceFlyer to the FunLift for close-up revasse views or hit the slopes for some sledging. Whatever you choose to do, you’ll enjoy basking in the magnificent Alpine scenery. Overnight in Lucerne. Breakfast at the hotel. Checkout From Lucerne to Station for Interlaken. On arrival Checkin at Interlaken Hotel.Rest of the Day at leisure on your own.Overnight at Interlaken. Breakfast at hotel. Later Visit to Mt. Pilatus from Interlaken. Join this partly guided coach tour from Interlaken to Mount Pilatus for a half-day winter wonderland adventure on one of Switzerland’s most majestic mountains! 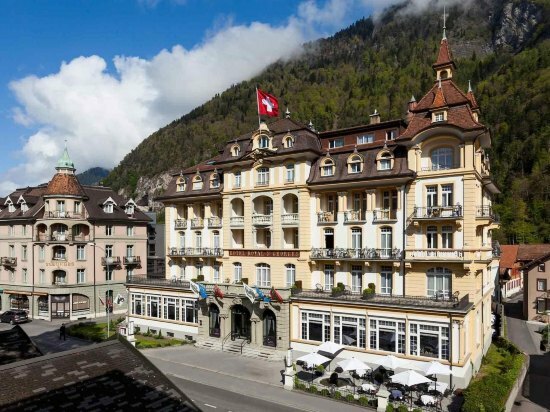 Explore the peak at leisure, before enjoying a typical Swiss lunch. 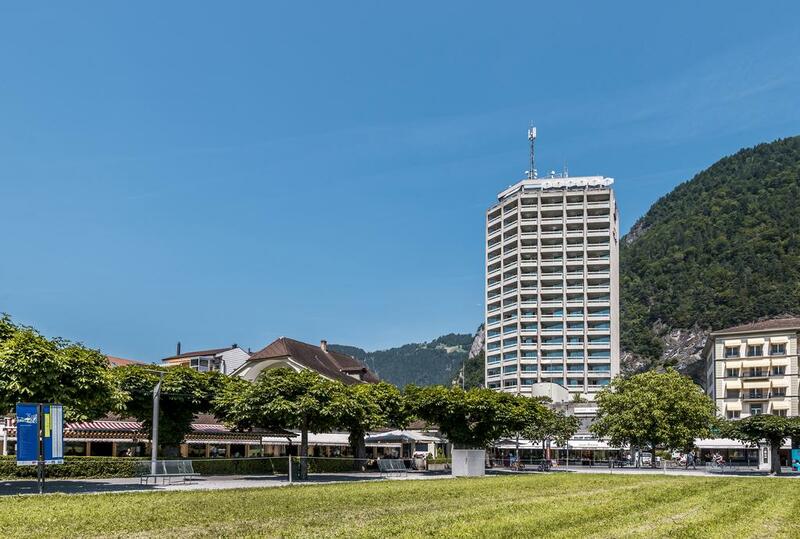 From Kriens, you’ll take the panoramic gondola and aerial cable car to the top of Mt. Pilatus at 7’000 feet (2’132 meters). Enjoy approximately two and a half hours at your leisure discovering this white winter paradise along the Dragon Path. According to legend, kind dragons once inhibited this mountain! Afterwards, take the cable car back down the mountain. Overnight at Interlaken. After Breakfast, checkout from Interlakenhotel to Zermatt. On arriving checkin to hotel. Rest of the day leisure at your own pace. Overnight in Zermatt. After breakfast. The highest altitude mountain railway station in Europe with a new restaurant in the Minergie-P standard sets standards for sustainability. The panorama: a breathtaking view of Italian, French and Swiss alpine giants from an altitude of 3,883 metres. This is your starting point for a two and a half hour hike across the glacier to climb your first 4,000 metre mountain, the Breithorn. Do you think you can see the Mediterranean? Quite possible. Mont Blanc, the highest mountain in the Alps, seems near enough to touch. You are almost in Italian territory, and see the enchanting rear face of Lady Matterhorn – you certainly hadn’t expected that. The air is thin. Don't try to do anything too quickly. You are also at the peak of the international ski area. Beneath you lies the largest summer ski area in Europe and, not far away, a cool Gravity Park for snowboarders and free skiers, open 300 days a year. You can then visit the newly renovated Glacier Palace. Simply cool. The cable cars and aerial tramways linking Zermatt and Matterhorn glacier paradise are now equipped with an audio system. Overnight in Zermatt. Breakfast at the hotel. 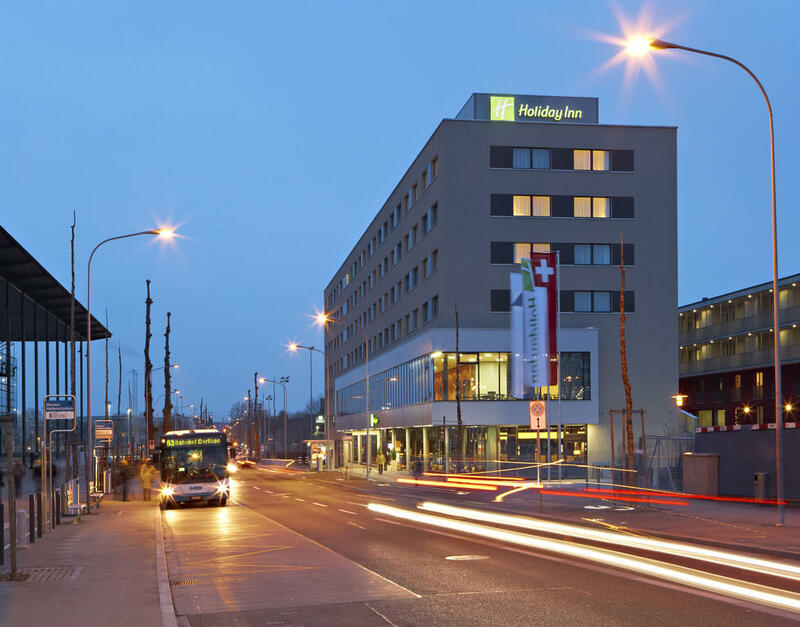 Checkout from Hotel to Station for Zurich. 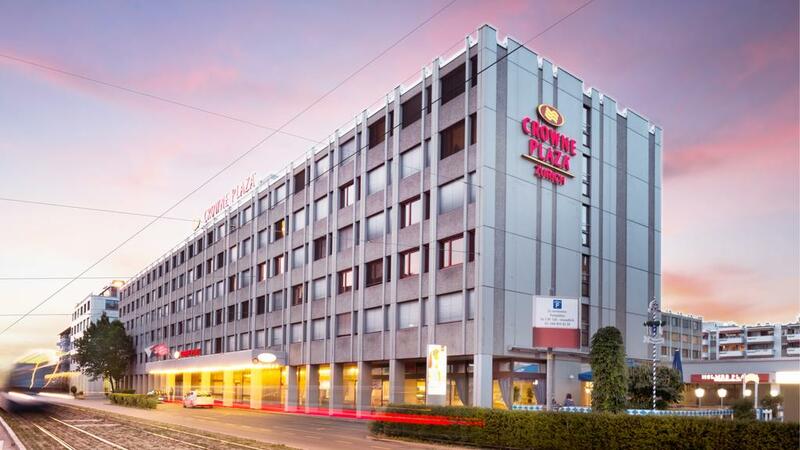 Checkin at Zurich Hotel. Rest of the day at leisure at your own. Overnight at Zurich. Breakfast at hotel. Later make your own way to Zurich Airport through Swiss Pass.